Rockford – Dorothy Ann (Franklin) Carlson, 93, of Rockford, died Saturday, November 10, 2018 at her home in Elkhorn, WI. 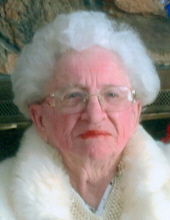 Born June 23, 1925 in Humboldt, IA, the daughter of Joseph and Elizabeth (Lindamen) Scholten. Dorothy married Robert B. Franklin on November 5, 1943 in Rockford. Robert died March 26, 1977. She married Arthur Carlson on May 9, 1980 in Rockford. Arthur died on December 26, 2008. Robert and Dorothy started Winnebago Motor Homes in Rockford in 1967. She was a longtime member of the First Presbyterian Church in Winnebago. Dorothy is survived by her sons, Donald (Angela) Franklin of Rockford, Terry (Melanie) Franklin of Rockford; daughter, Pamella (Paul) Maddox of Arizona; seven grandchildren; several great-grandchildren; sister, Lavon Wallenberg of Rockford; several nephews and nieces. Dorothy is predeceased by her grandson, Scott Franklin; brothers, Donald Scholten, Richard Scholten; sister, Viola Wolf. Cremation rites accorded with private interment at Winnebago Cemetery near Winnebago. Arrangements by Genandt Funeral Home, 602 N. Elida St., Winnebago. For an online obituary and tributes go to www.genandtfuneralhome.com. "Email Address" would like to share the life celebration of Dorothy Ann (Franklin) Carlson. Click on the "link" to go to share a favorite memory or leave a condolence message for the family.